Ardour's interface has been revamped. 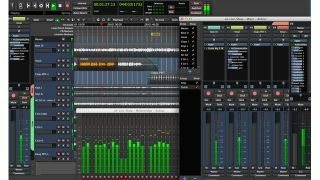 Ardour is often cited as one of the best pieces of Linux music making software, and the good news is that this powerful DAW has now been updated to version 4.0. This promises "many technical improvements, as well as new features and over a thousand bug fixes". As well as running on GNU/Linux and Mac OS X, you can now use Ardour on Windows, though there's no support for this version at this time. If you're a new user, the fact that JACK is no longer required might make setting up that bit easier, while the user interface has been thoroughly overhauled. You can find out more about Ardour 4.0, and how you can start using it, on the Ardour Project website.